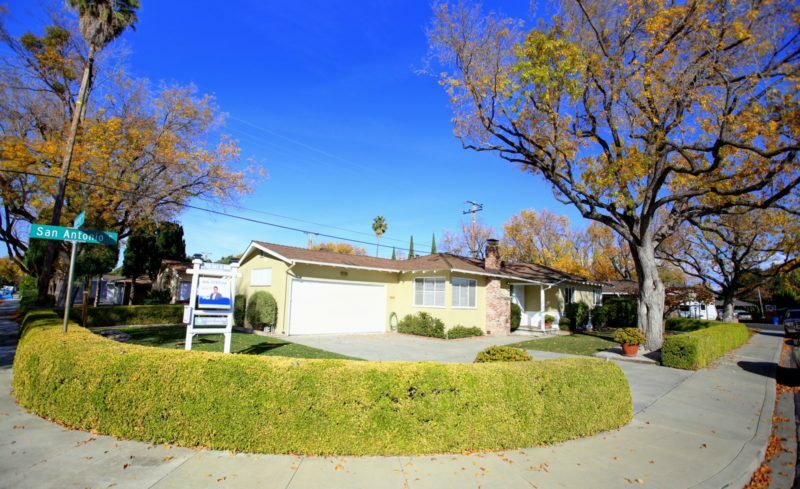 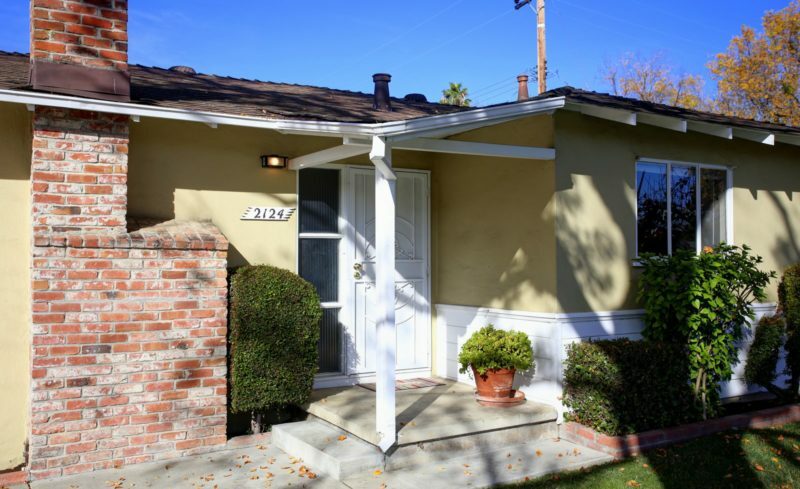 Warm and inviting Bowers Crest home situated on a quiet tree-lined street. 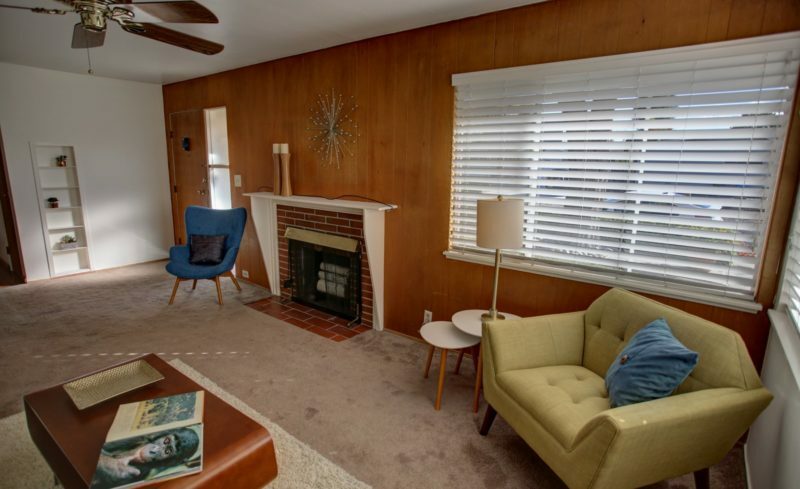 This Bowers Crest home features a functional floorplan with bright, spacious living room with corner windows, and wood burning fireplace. 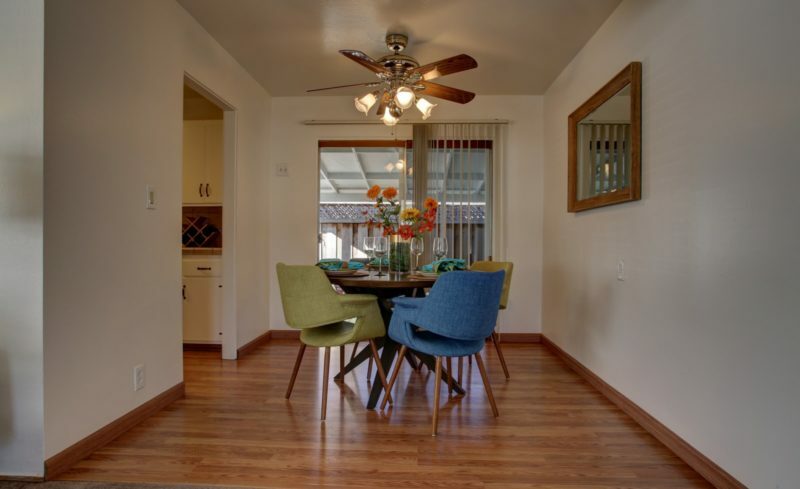 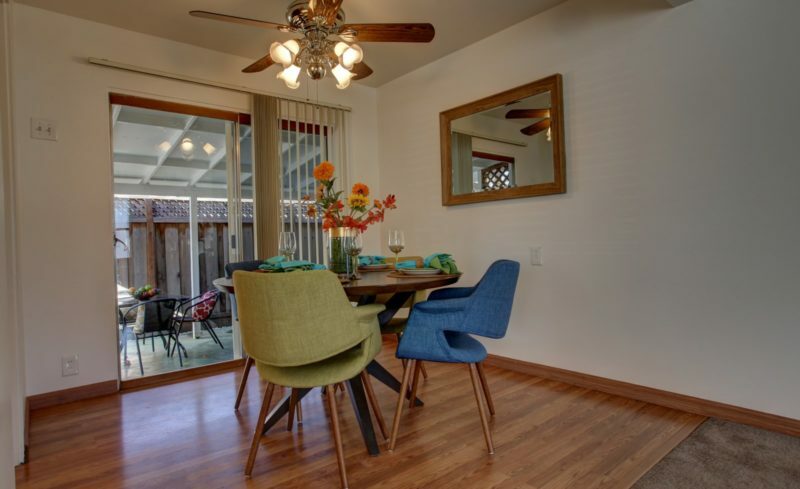 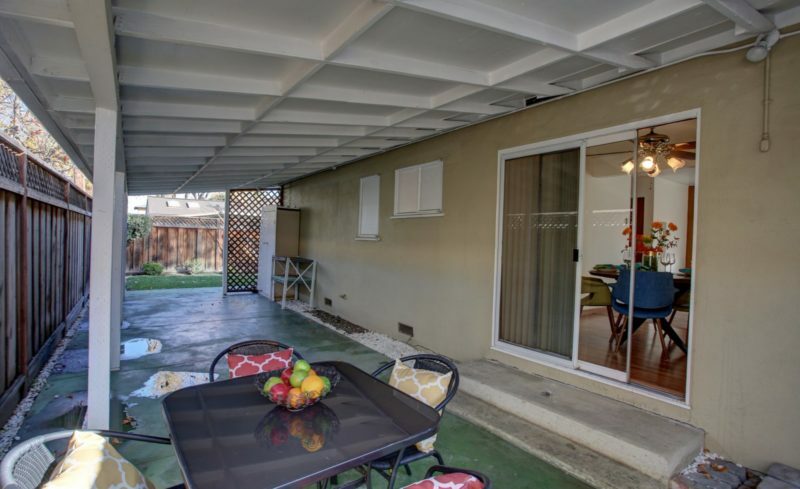 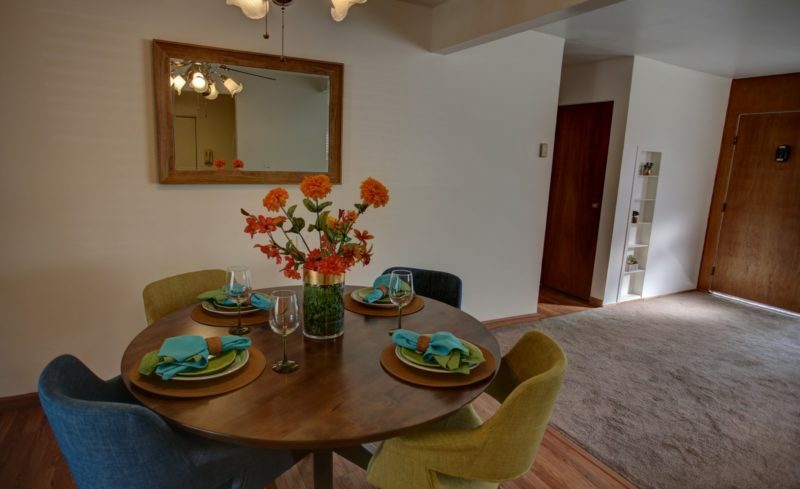 The dining room is open to living area and next to sliding glass door overlooking back patio and yard. 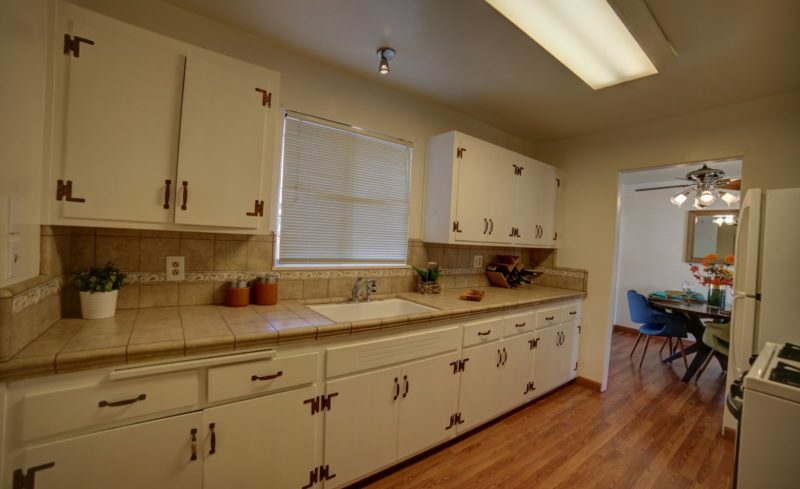 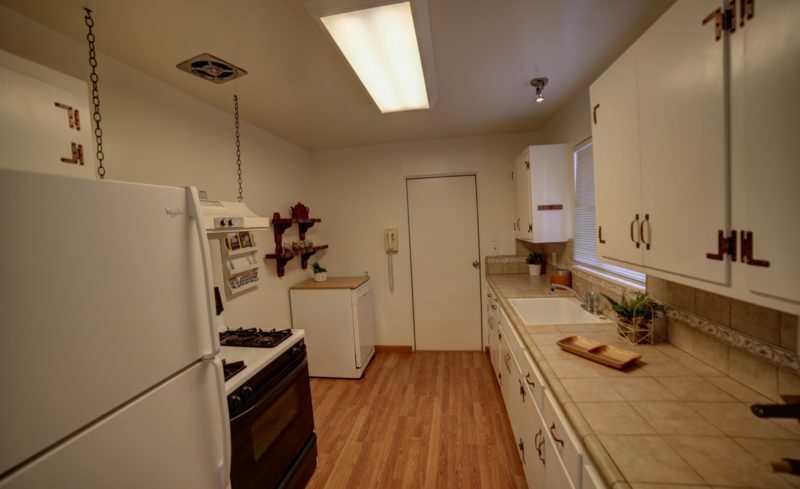 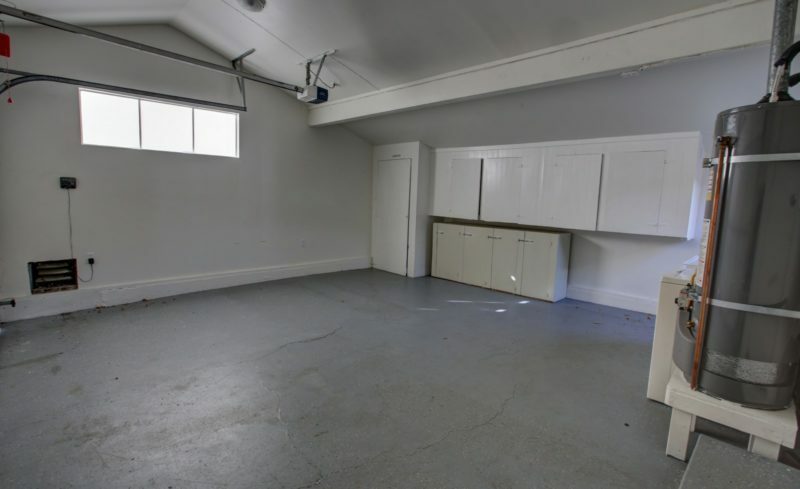 The galley kitchen is spacious and with lots of possibilities for cabinets and remodeling. 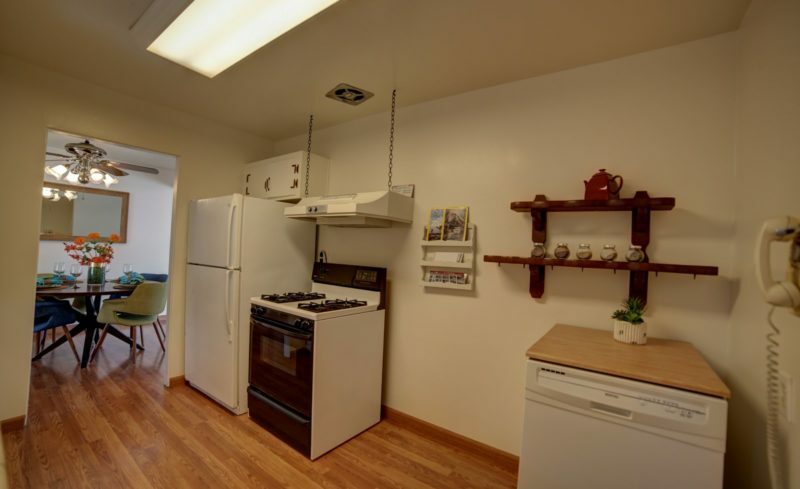 The kitchen currently features gas cooking and is conveniently located adjacent to the garage. 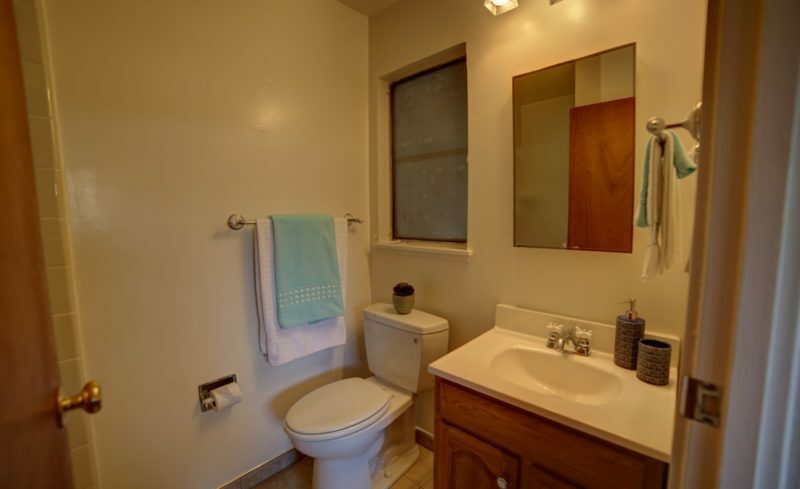 Spacious hall bath with large vanity, tile floor, and tub. 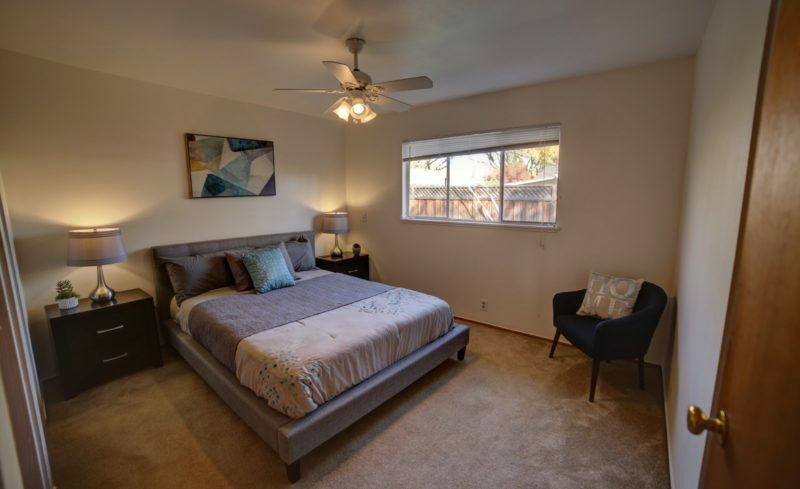 Master bedroom features private bath with stall shower, his and her closets with sliding glass doors. 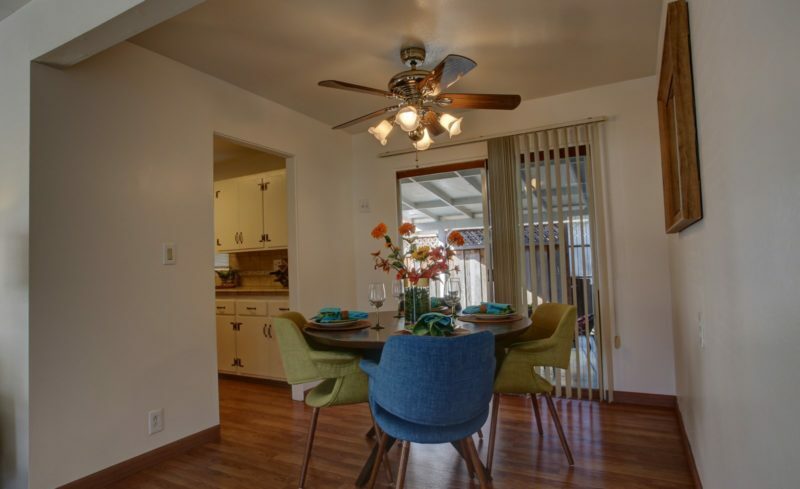 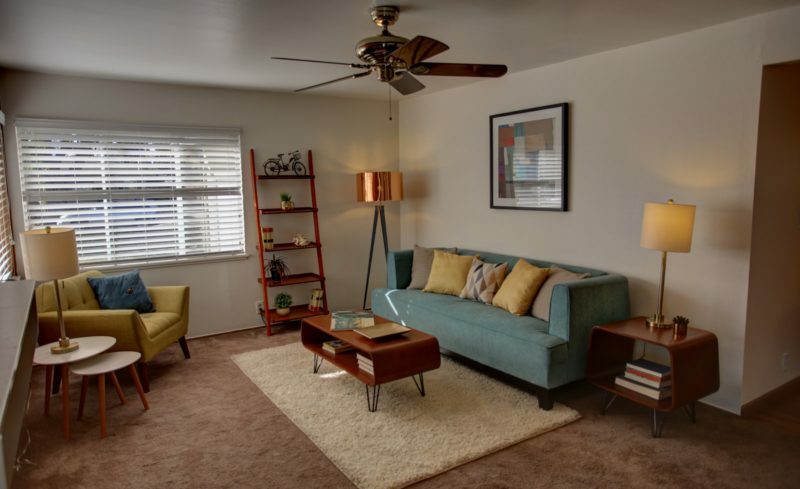 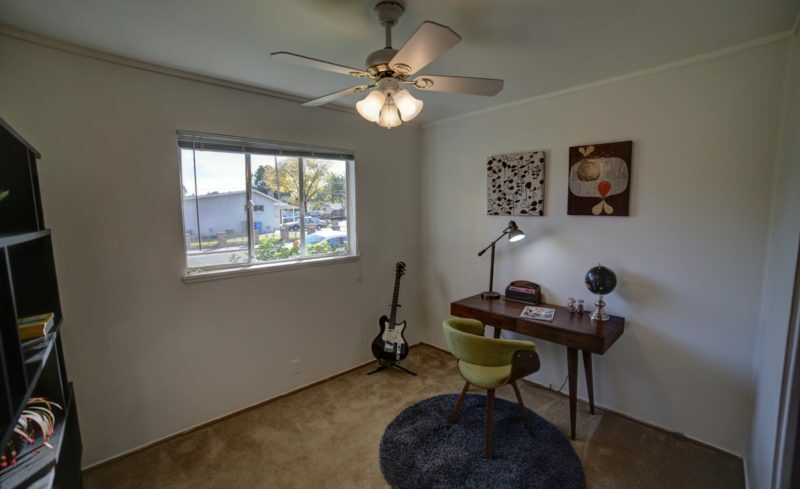 Additional features include three closets in the living area, ceiling fans in bedrooms, living areas and dining area, direct access to backyard from sliding glass door, oak hardwood floors under carpet. 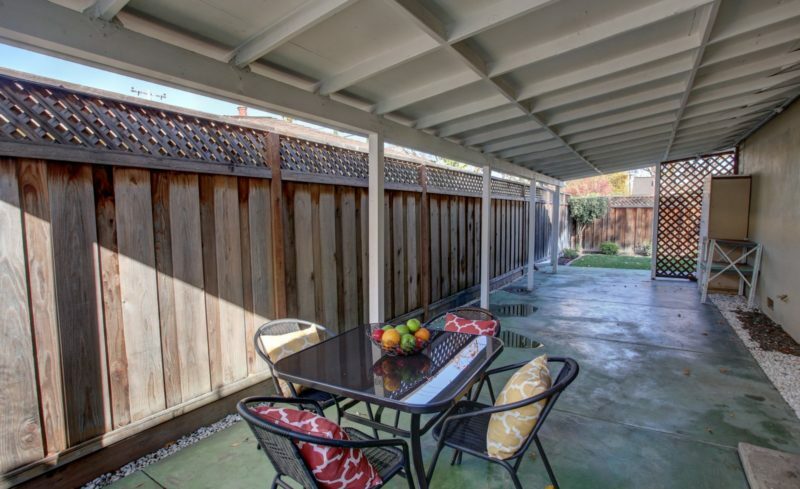 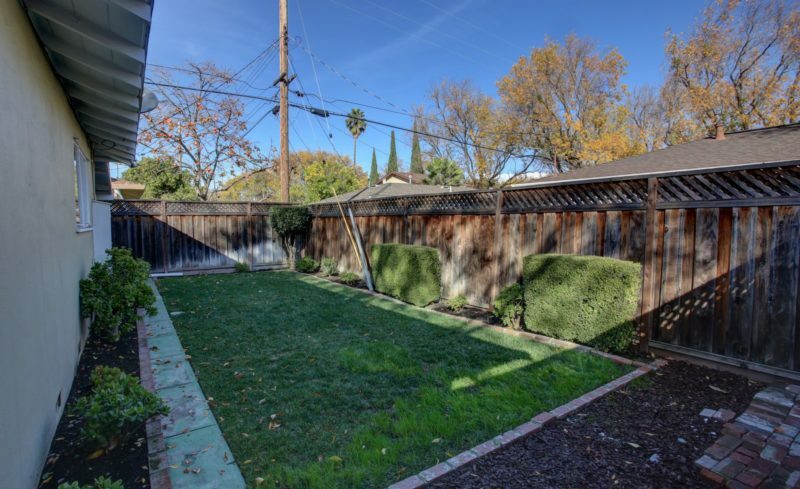 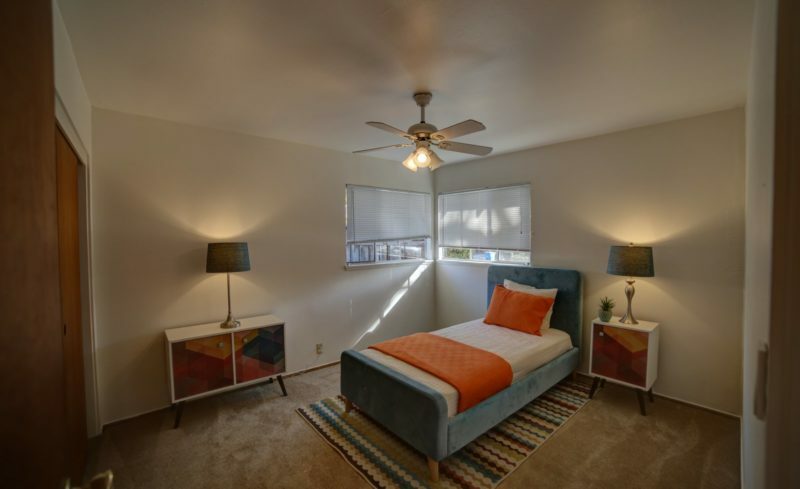 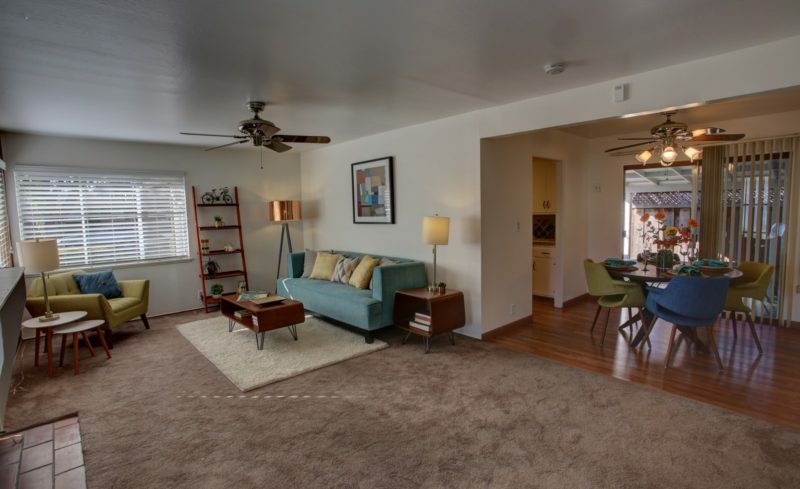 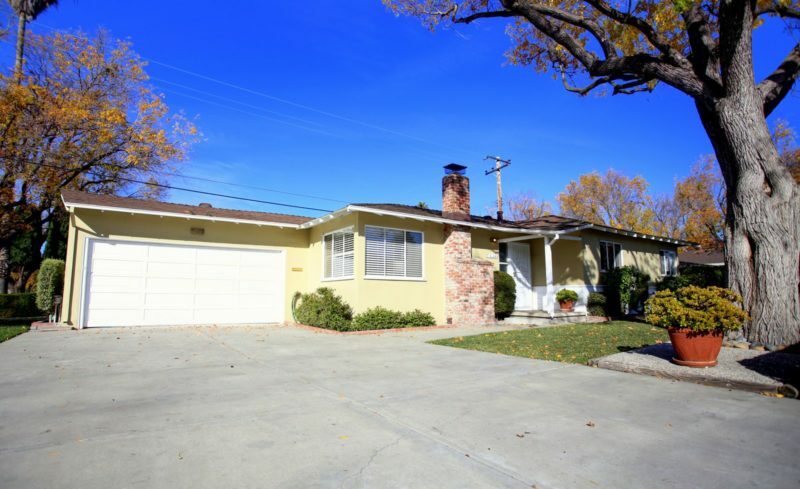 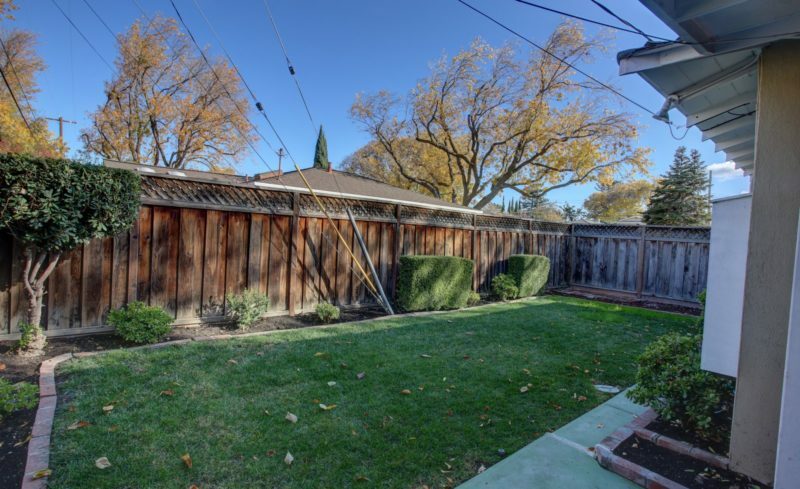 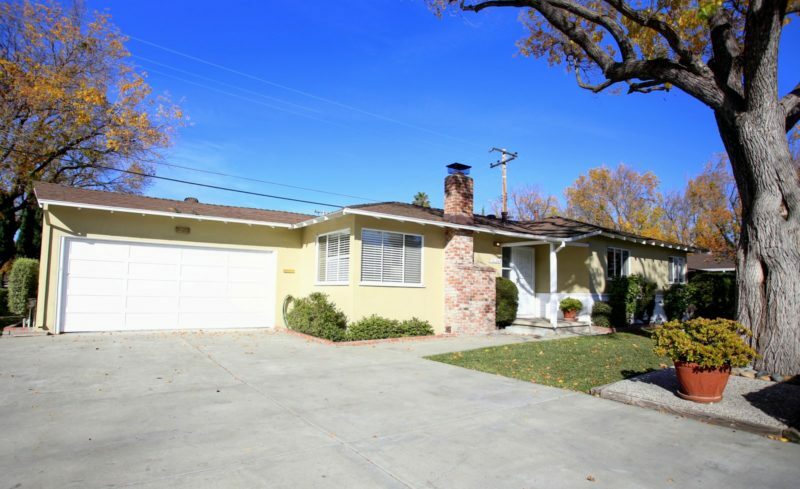 Western Santa Clara location makes it convenient to various jobs, close to new Nob Hill supermarket and commerce along El Camino. 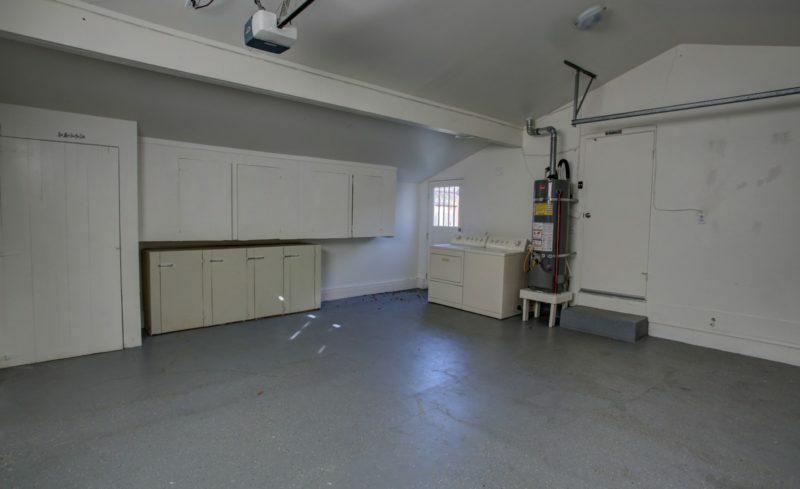 Gas cooking and is conveniently located adjacent to the garage. 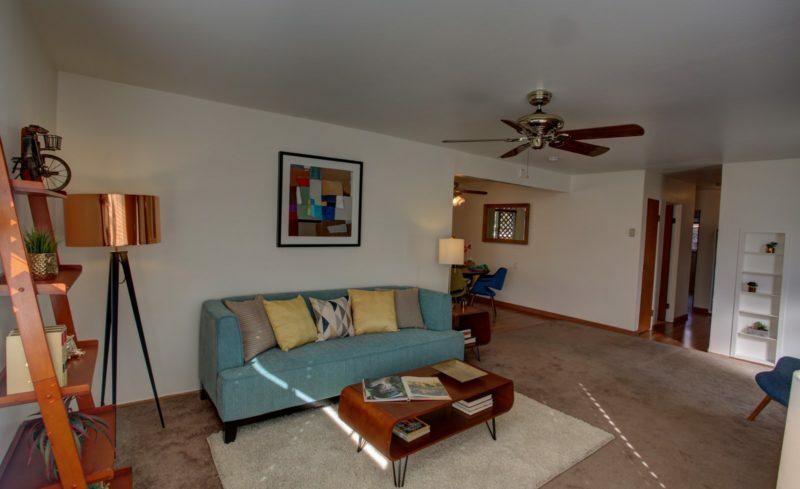 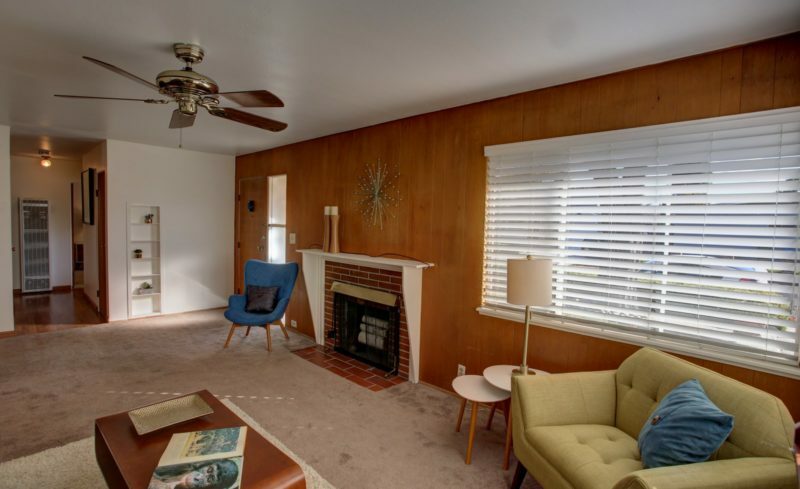 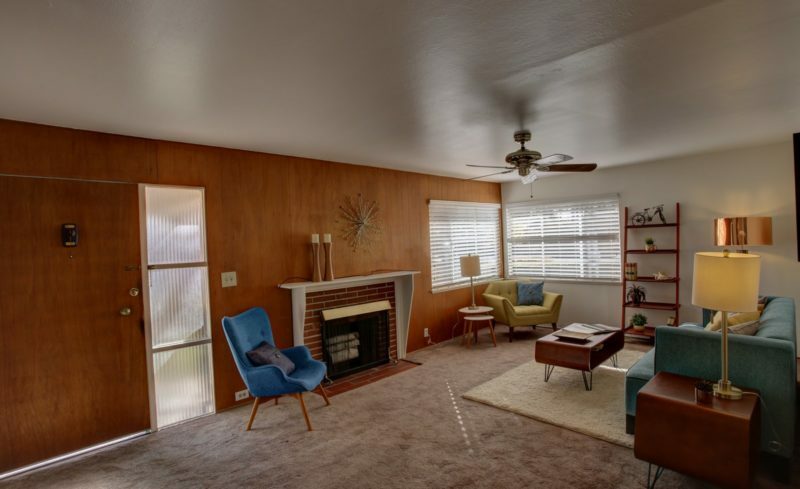 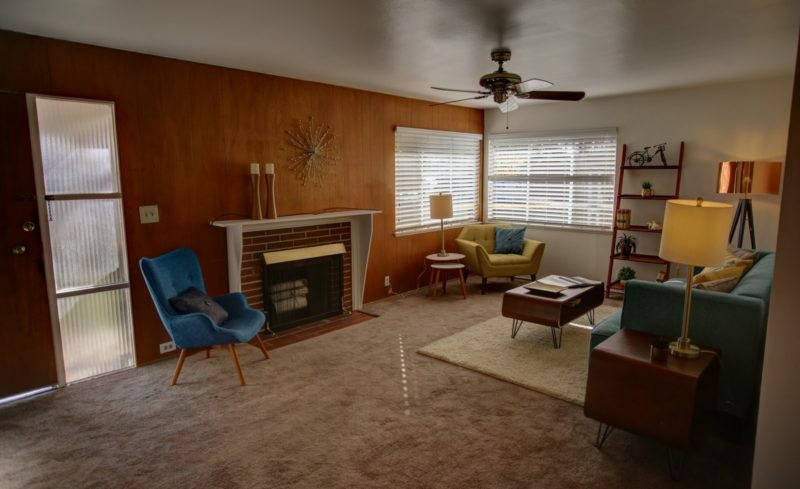 Bright, spacious living room with corner windows, and wood burning fireplace. 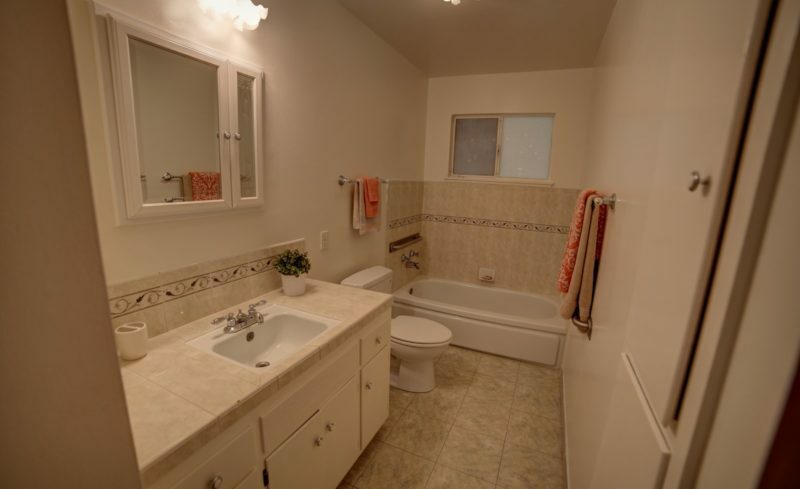 Private bath with stall shower, his and her closets with sliding glass doors. 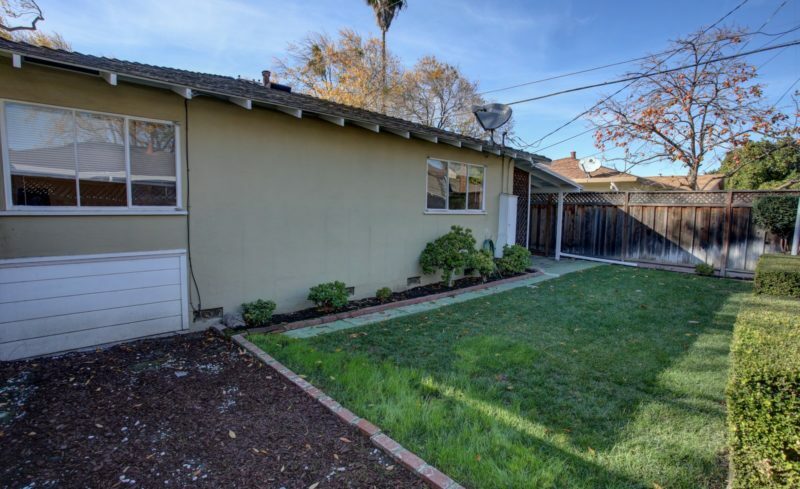 Western Santa Clara location makes it convenient to various jobs, close to new Nob Hill supermarket and commerce along El Camino.